(TibetanReview.net, Nov28, 2014) – South Africa has maintained Nov 27 that it has no policy barring the Dalai Lama from entering the country despite having denied him visa on three successive occasions since 2009. However, addressing the media about President Jacob Zuma’s state visit to China in the coming week, International Relations Minister Maite Nkoana-Mashabane side-stepped questions on why the exiled Tibetan spiritual leader had been refused entry to South Africa several times, and whether South Africa was doing China’s bidding in this regard, reported sowetanlive.co.za Nov 27. What is more, the minister has implied that giving visa to the Dalai Lama would be tantamount to violating the country’s “one China” policy although the 1989 Nobel Peace laureate has publicly disavowed any campaign for an independent Tibet. 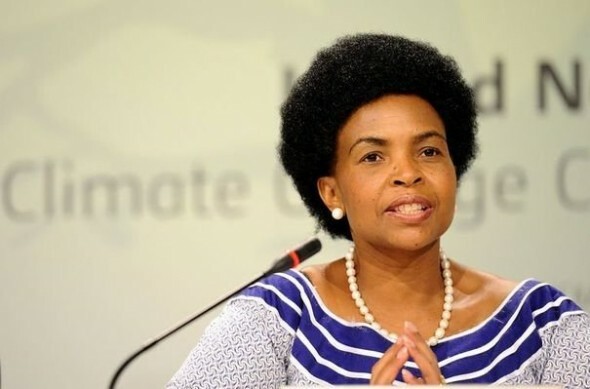 Nkoana-Mashabane could not confirm that China’s human rights track record would be up for discussion during the state visit, the report added. The government of South Africa had come under severe criticism from the country’s opposition political parties as well media, human rights groups and top civil society figures after each denial of visa for the Dalai Lama. The latest was in October this year when he was to attend the 14th World Summit of Nobel Peace Laureates scheduled to be held in Cape Town. The denial of visa and consequent boycott of the summit by several laureates forced the organizers to suspend the event which will now be held in Rome, Italy, in Dec 2014. It is a sad reality that South Africa and particularly the African National Congress (ANC) (a major resistance moment led by Nelson Mandela) who stood up against the government harshly oppressed resistance during apartheid, is today supporting China. By stating “One China” policy they are supporting a colonial and repressive regime that is suppressing the rights and voices of Tibetans inside Tibet. It would have been much better if they could have invited His Holiness the Dalai Lama to the land of Mandela and stood for the principal of right and justice. We have lost another light of peace and hope from this world. The heartbreaking reality is that country that was once oppressed is now gladly supporting a new oppressor in another country. I urge to the South African to stand up for the principles that you once fought and stood for justice, equality and freedom.